The Hohner Amatona Deluxe was Hohner’s answer to the Paolo Soprani ‘Elite’ box which was (& still is) a great favourite amongst traditional Irish box players. The Hohner has got 4 sets of musette (wet) tuned reeds which give a ‘traditional’ Irish or Scottish sound. 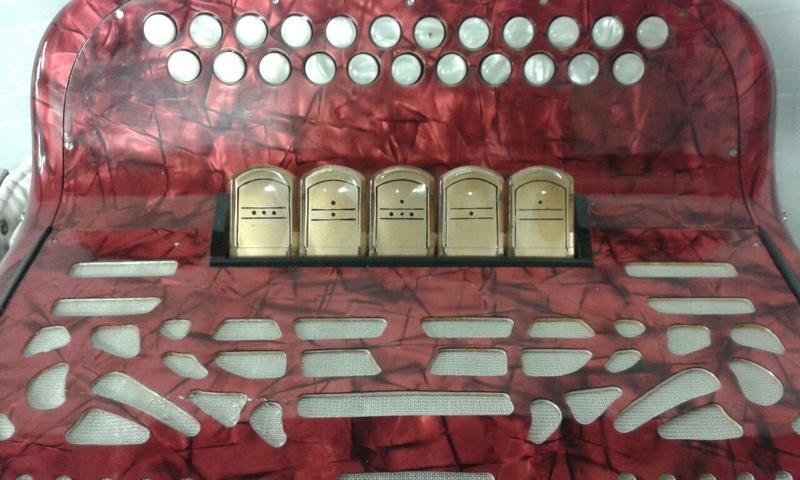 The right hand has 5 registers so you can play ‘dry’ sounds as well. This 1960s instrument has been professionally tuned & refurbished by a previous owner & is in excellent condition. EU & worldwide shipping is available – please ask us for a quote. 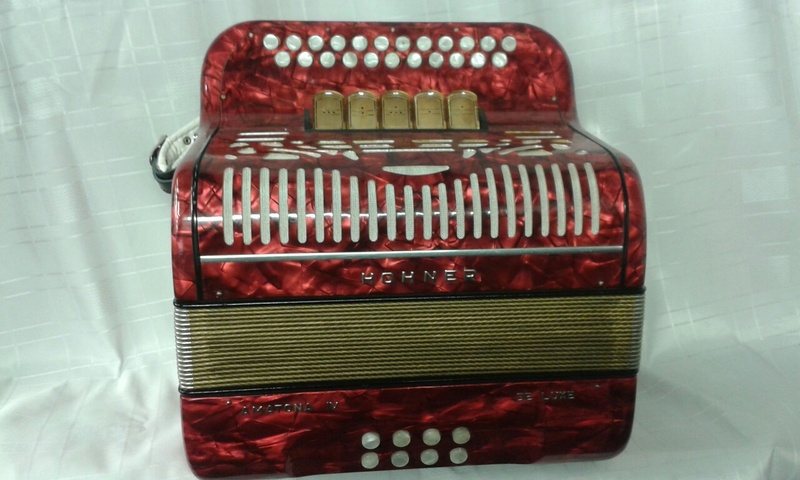 To buy this Hohner Amatona Deluxe 2 Row C – C sharp Melodion, or to get more details, please call our Rochdale shop on 01706 658283. 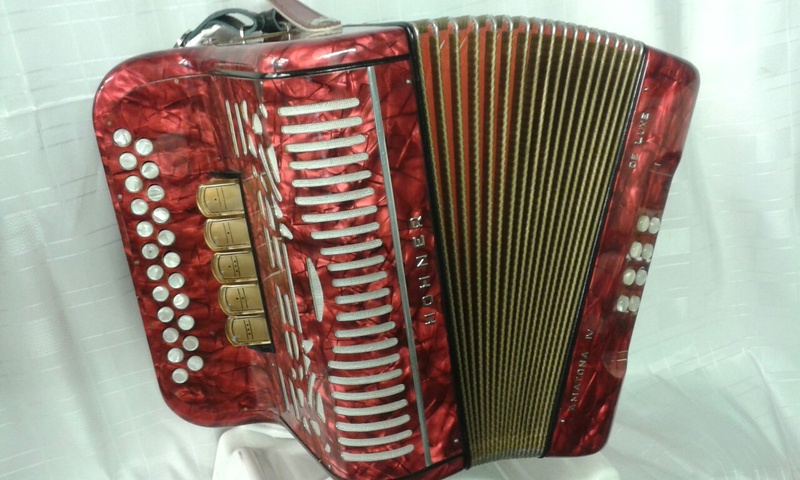 A 0% interest free loan is available on this Hohner Amatona Deluxe 2 Row C – C sharpMelodion subject to status via the Arts Council. Terms and conditions apply – please contact us for full details. The Hohner Amatona Deluxe 2 Row C – C sharp Melodion comes complete with your choice of either a soft gig bag or a hard case included in the price, as well as the original shoulder straps. Don’t forget, free delivery of this excellent value for money Hohner Amatona Deluxe 2 Row B C Melodion to most parts of mainland UK is included in the price! Weight: 5.9 Kg. - 13 Lbs.